Yankees star Derek Jeter announces partnership with Simon & Schuster to publish books for both children and adults. When it comes to Derek Jeter, the only book that comes to mind is a records book. Nevertheless the Yankees star, who skipped college to start playing professional baseball, has inked a deal to launch his own imprint of books for Simon & Schuster. Jeter Publishing will publish adult non-fiction titles, fiction and children's books. It will specialize in sports-related books, not surprisingly, but will also highlight personalities in pop-culture and other arts. "This publishing partnership is an exciting way for me to discover and develop new books, sharing insights of my own, or from people I believe have interesting stories, philosophies or practices to share," Jeter said a statement issued by Simon & Schuster, which is a unit of CBS (CBS). Simon & Schuster did not comment on terms of the deal. 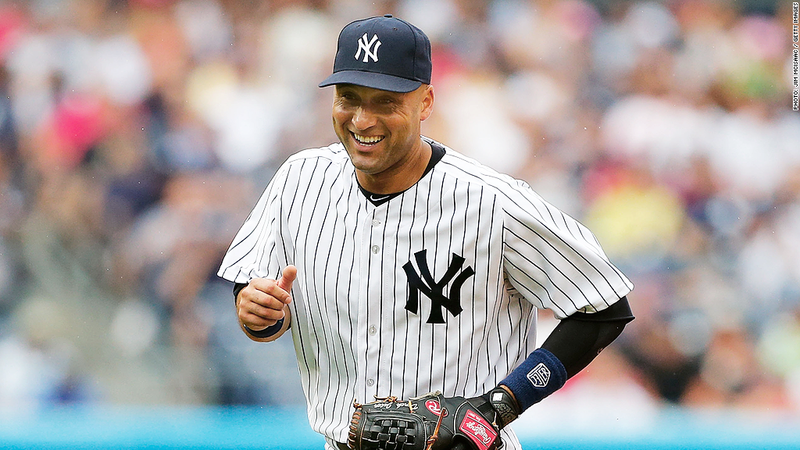 Jeter is the world's best known baseball player, according to the most recent survey by the Q Scores Company, recognizable to 60% of the general public. He also has a relatively clean image in a realm of professional sports often marred by scandal. He's also one of the best-paid U.S. athletes according to the Fortunate 50, which is compiled by Sports Illustrated and Fortune magazines, with a salary of $17 million and $8.5 million in endorsements this year. He'll take a pay cut in 2014, having just signed a new $12 million contract for next season. The 39-year old is likely close to retirement, as injuries limited him to only 17 games this past season. Jeter has already written two autobiographical books, one from Crown in 2001, the other from Random House in 2010.